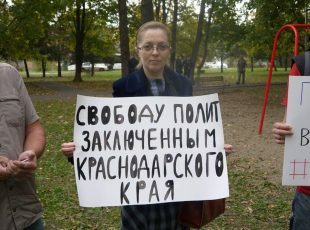 Segezha, 6 August 2012 – It is painful to watch what is taking place in the Khamovnichesky Court of the city of Moscow, where Masha, Nadya, and Katya are on trial. The word “trial” is applicable here only in the sense in which it was used by the Inquisitors of the Middle Ages. I know this aquarium in courtroom number 7 well – they made it especially for me and Platon, “just for us”, after the ECHR had declared that keeping defendants behind bars is degrading and violates the Convention on Human Rights. I have read about how the judge has denied motions to reduce the time of the court hearing, and about the refusals to call an ambulance. When they drive you from the SIZO to the courthouse, this is how it happens: reveille even before the communal breakfast, stewing in your own sweat whilst hunched over in the “beaker” [a miniscule isolation cell for special prisoners inside the prisoner transport lorry—Trans. ], transport through the Moscow traffic jams – a minimum of 2 hours. They held me in “Matrosskaya tishina” – this is in the centre; but they bring the girls over from Pachatniki – that is twice as far away. They probably spend three hours in each direction just on travel time alone. Two humiliating body searches in the SIZO, where you have to strip naked – before departure and after arrival; the convoy conducts another two. A minimum of four body searches per day in total. Then they handcuff you to a guard and drag you from the automobile right into the courthouse doors. You’ve got 10 seconds to turn your head and take a glance at the free world. If you’re lucky, you might notice someone you know. That is why it is so important for there to be “greeters” outside the courthouse: every smile of support in this brief instant is worth its weight in gold and helps you shake off the 6 hours of abuse you have already endured since the moment of reveille and to enter the courtroom feeling like a human being once again. 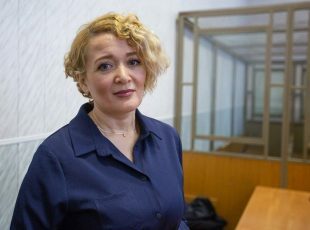 In the courthouse– either straight into the courtroom, at a brisk trot up the stairs, chained by one hand to the convoy guard, or into the “konvoyka” cell – there to wait until they “let you out” into the courtroom. But how can you keep track of anything in such conditions? The girls don’t even have any surface on which to place a notepad in there – take notes “on your lap” for the whole of the court hearing, if your back is healthy enough for that… Otherwise, you hope that your lawyers will write it down, and that you’ll then be given the time to discuss what is happening with them. Recess, a packed dry lunch. What’s in it? Dry noodles, dry porridge. This is not even one of those instant ramen noodle “bricks” – it’s worse. By the time the boiling water finally gets the noodles soft enough to eat, the 20 minute recess is over. And if someone has kidney problems, such a diet is almost murder. I stopped eating in the second week of the trial: it was better to survive through the whole day on just water alone. The session has ended, everybody heads home. But the defendants get handcuffed to a guard, and then it’s back to the SIZO through the Moscow traffic jams. They arrive already after the communal supper. You can take a shower only on Saturday. C’est la vie… The “work day” – 20 hours. Lights out. If there is a court session tomorrow, they’ll get you up in 3 hours and the whole “procedure” will be repeated. It is not customary to talk about all this in court, because nobody asks about it in the trial. It is not customary to complain about this in the SIZO, because for the SIZO this is the usual regime, and besides, if you complain they’ll just go and wake you up an hour earlier and bring you back an hour later. But the judge, of course, knows about this regime. Torture, perhaps? If limiting familiarisation with the case and extending arrest is just the usual run-of-the-mill lawlessness, an 11-hour court session without a decent break even for lunch sure looks like the execution of an instruction to complete the judicial investigation, and maybe even the final submissions, before the end of the Olympiad, while the world’s mass information media are busy with other things, and our ignominy does not resonate quite as loudly. The ignominy of a great country, a country of world famous humanists and scientists, turning headlong into a backwards Asiatic province. I am very ashamed and hurt. 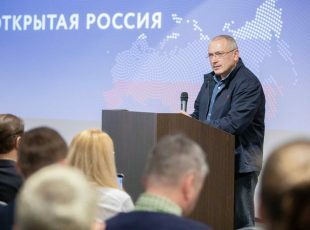 And not because of these girls – the mistakes of youthful radicalism can be forgiven – but for the state, which is profaning our Russia with its complete and utter lack of conscience. We have been deprived of an honest and independent judiciary, of the opportunity to defend ourselves and to protect people from lawlessness. But what we can do, if we happen to recognise those who are perpetrating arbitrariness for money and privileges – be it on the street, in a shop, or in the theatre – is explain to them and to those around, politely but in no uncertain terms, just what we think of them, why we do not respect them, why we do not want to give them any help with anything, and why, on the contrary, we are going to stand against them in every little thing. That way we shall be able to retain respect for ourselves. I call on all thinking, educated, and simply good and kind people to send words of hope to the girls. Your support – the support of every person – is now very important to those who have ended up in confinement by the will of evil forces!